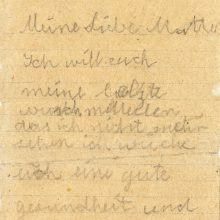 The legal proceedings relating to the murder of a young Sinto that was committed shortly before the end of the war is a prime example of the way in which Nazi perpetrators were dealt with by the post-war justice system in the Federal Republic of Germany. On 25 August 1944, 17-year-old Anton Reinhardt fled from the district hospital in Waldshut where he was to be forcibly sterilised. As night fell, he swam across the Rhine and applied for asylum in Switzerland. But on 8 September the Swiss authorities deported him back to Germany. 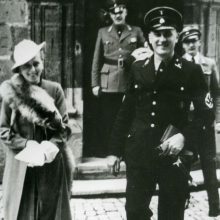 Anton Reinhardt was arrested soon thereafter and sent to the Schirmeck-Vorbruck ‘security’ camp. He was later transferred to the Rotenfels camp near Gaggenau, where he managed to escape in March 1945. On 30 March 1945 he was arrested by a unit of the ‘Volkssturm militia’ [‘people’s militia’] near Bad Rippoldsau. After interrogation by the local ‘Sicherheitsdienst’ officer, SS-Hauptsturmbannführer Karl Hauger, an improvised summary court sentenced the 17-year-old to death that same night. 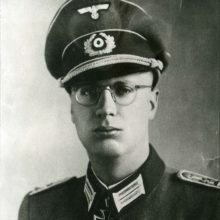 A war-disabled officer from the armed forces by the name of Franz Wipfler authorised and signed the death sentence. The following morning a commando combat unit took Anton Reinhardt out into a remote forest. The young man then had to dig his own grave before the SS officer shot him in the back of the neck. 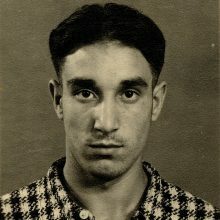 After the war Karl Hauger lived for a long time under an assumed name in northern Germany before voluntarily handing himself in to the justice system in 1957. On 30 October 1959 the Offenburg jury court sentence him and Franz Wipfler to seven and a half years and four years in prison, respectively, for the crime of manslaughter jointly committed – but not for murder, as demanded by the prosecution. On 10 July 1961 the Karlsruhe district court reduced the sentence to seven years and three and a half years, respectively. Wipfler’s time in pretrial detention was taken into account, which meant he did not have to go to prison. After only two months, the district court then granted Hauger a suspended sentence on probation.